Our client asked for a simple mezzanine as part of a project they were considering. 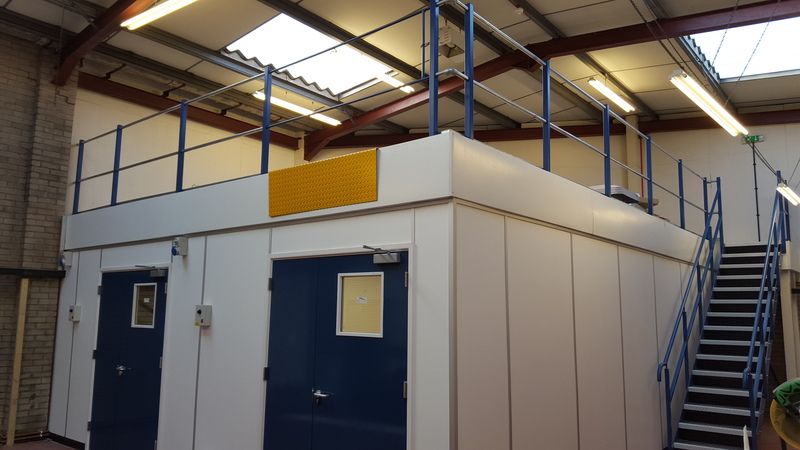 As we became involved in the project it became clear the mezzanine was simply the support structure for plant and equipment for testing cells below. These were for testing prototype turbines which when under test would produce some significant noise which needed to be controlled. There was also risk of failure which if it did happen, could mean component parts could be fired off from shafts rotating at 100,000rpm or more…a real ballistic concern. 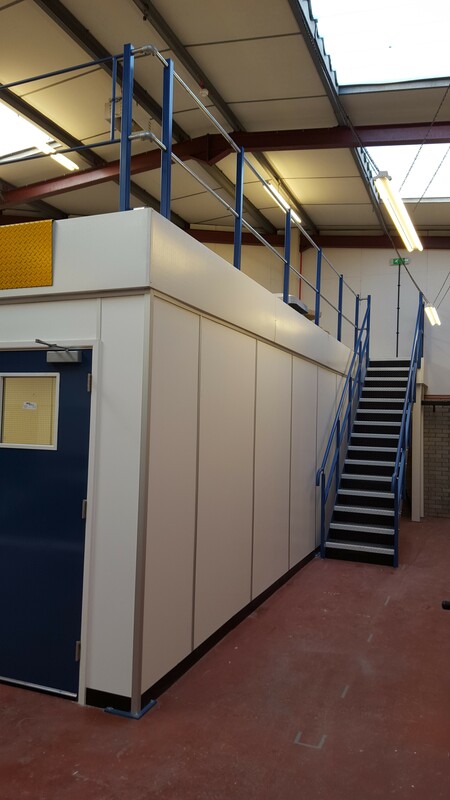 Working in close association with our client we designed and offered a “one stop shop” solution which combined the mezzanine structure with custom partitioning, suspended ceilings, sound control, lighting and decoration. The ceiling was developed with a restraining structure to accept changes in air pressure. 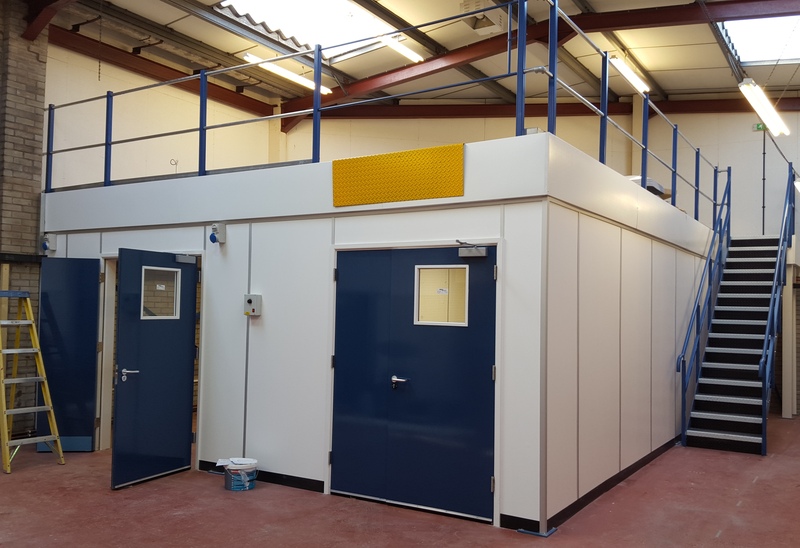 Partitioning was double boarded both sides and fitted with quilt for sound attenuation and then upgraded with 0.7mm sheet steel within construction to BOTH sides of studwork to improve ballistic protection. 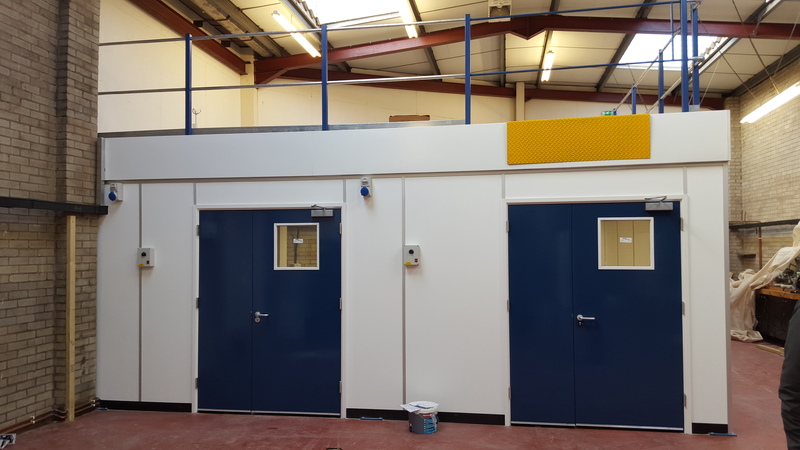 Sound attenuation rating to ceiling was increased up to 36db, partitioning up to 49dba. By accepting this solution our client was not responsible for the management of the installation, provided by a number of unconnected contractors. Because the installation was prefabricated and “dry” as opposed to the block, mortar and render alternative which the client had initially considered, the installation was swift, clean and caused next to no disturbance. Whilst sound control is a common aspect (and so often overlooked) with office and meeting room design, the ballistic control was an unusual requirement. The final design combining both was a solution bespoke to this client. 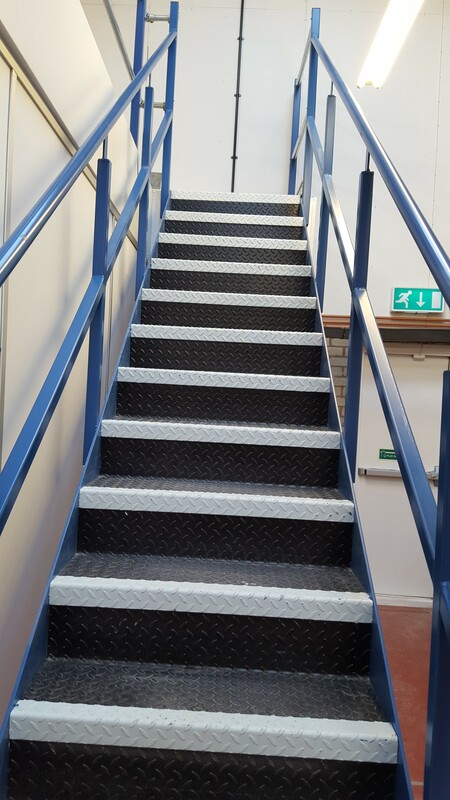 All stages of the installation, decoration and site clean-up prior to handover were supervised by Bradfields Contract Managers. The installation window was tightly controlled due to the way in which the project was funded. Bradfields agreed a very specific programme of installation and invoicing to ensure the project criteria were met in full.